There are so many options for what to do to make sure your WordPress website reflects your true passion and purpose. For the women out there changing the world, I want to remind you of a few ways to showcase your feminine power on your website without defaulting to pink fonts and flowery graphics. You can have a website that is uniquely you by gaining clarity on the things that matter most. As you think about things like your mission, intended audience, and why now is the time to share your message, you may find that the overall vision you have for your business becomes clearer. What is the one thing that if you don’t do it now will leave you playing small? Your website should be poised to help you succeed in the future. Jaya Rose is one of my online she-roes and I love how her site showcases her mission. “Spread light. Make bank. Be the change.” You know as soon as you enter that she is ready to share her mission with the world. Most feminine energies come from a place of collaboration over competition. 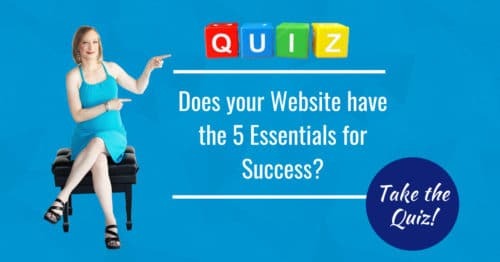 Who are you trying to attract to your site? If your branding is done well it will reflect the uniqueness of your products and services. Who is your tribe? Where do you interact with them offline? Think about ways to bring your offline vibe to your online community. Why do you need to share your message now? That sense of urgency is how you know you need that site done right and done right now. Your website is more than a virtual brochure. It’s a portal where you can reach your people to share what’s important to you. Make that space a safe space and one that you feel confident sharing. The world needs your message. A website that reflects you in all of your amazingness is possible. Schedule a discovery call with me if you would like to discuss how I can help you create the website that will reflect the genuine pieces of you.